Organisation and distractions can be tough, but is doable and especially useful, if you own your own business or are a student like me with lots of tough deadlines and having to multi-task all the time. But along comes the CEO of My Life Planner, a multi-column life affirming planner that's perfect for all occasions and tasks. 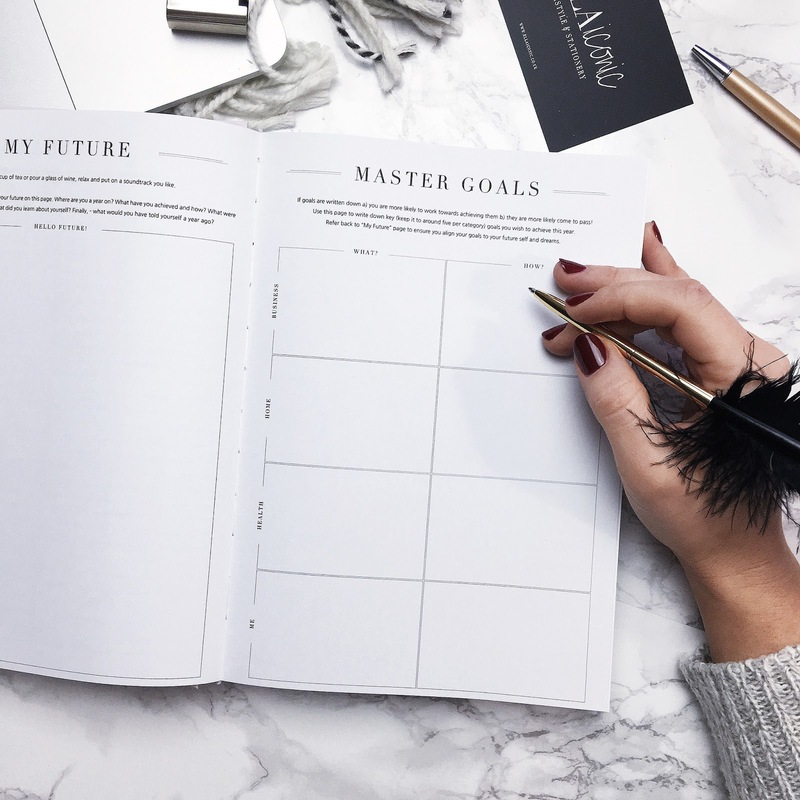 As seen above, there's pages for your Future and Master Goals, which you can fill in in your own special way. There's also individual pages for each day in the calendar, which can be used to your own style, free to make notes and calendar events to your heart's content. Quotes to help you along with your day and give you that #mondaymotivation is definitely a reason to buy this planner, as they belong on Instagram ☺️ It's definitely going to be hard to resist taking photos of every page. In terms of actually scheduling with the planner, I use it to schedule my day in 2 hour intervals, moving on to a different task at the end of each 2 hour stint. It's completely up to you to organise it how you wish. With a finances section at the back of each monthly section, you can record your 'in' and 'out' spending habits, so can keep up with your expenses and cut out things you don't need to save some money. It's definitely helping me to save and realise what I'm wasting my money on. CEO Of My Own Life Planner is one to buy if you want to organise your life in a freestyle way and having complete control over your plans. Buy the planner in three different designs at Ella Iconic or Not On The High Street. 'Like' my Facebook page to keep up with what I'm up to and my blog posts.